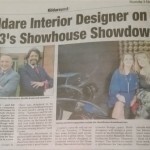 I am delighted to announce that Louise Higgins founder of Perfect Headboards and her design company Aspire Design was chosen as one of the designers to participate in the TV3 production of ‘Showhouse Showdown’. Tune in on Tuesday night (7th November ) from 21:00 – 22:00 to see her go head to head with another designer to compete for the title of winner of ‘Showhouse Showdown’. The ultimate interior design challenge with Neville Knott and Laurence Llewelyn-Bowan. In each episode two professional interior designers have the challenge of creating interiors for two penthouse properties in a new development. Laurence and Neville are there to oversee the competition but it’s the public who arrive on the launch day and visit both homes that decide which designer has created the winning interior. Showhouse Showdown is packed with interior ideas as the professional designers show how they can turn a new property into a great home. 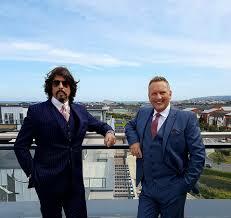 Louises episode will air on TV3 on Tuesday 7th November from 21:00-22:00 and promises to be a great show. 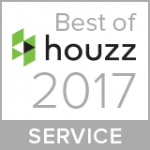 Tune in to see which designer is crowned winner of the Show House Showdown for the best interior design space. Both designers will design a penthouse in the Hermitage development on the Malahide Rd in Dublin for Builders ‘Shannon Homes’. The brief is to create a penthouse for two professionals with a €16,000 budget. Louise designed a stylish penthouse suitable for the target market and of course there is some new headboard designs from Perfect Headboards that will also make their debut on the TV show. A Show House is an extremely important marketing tool for any builder/developer and we are looking forward to working on many more Show Houses in the near future.